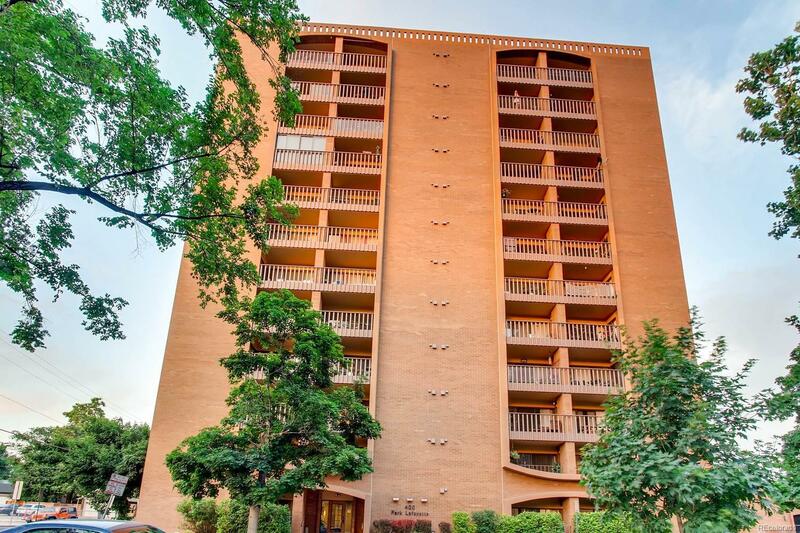 Best upgrades in sought after building, one block from popular Wash Park. Entire unit was completely remodeled with modern kitchen featuring additional cabinetry, stainless steel appliances, counter depth french door refrigerator, gorgeous granite counters and tile backsplash. Enclosed, all season balcony giving extra entertainment/living/work space and hardwood floors in the bedrooms are grandfathered in by HOA and not available in other units. Located on the 9th floor on the S/E side of the building with park and mountain views. This secure building offers fabulous amenities. Take a dip in the year-round indoor pool or relax the day away in the hot tub and sauna. Stay in shape in the fitness center and throw great parties in the billiard room clubhouse. Enjoy the convenience of covered parking while your friends find ample street parking. Very low maintenance allows you time to enjoy Washington Park and all of the neighborhood restaurants and shops. Includes storage unit, pets OK.